Combine the benefits of Xbox Live Gold and Xbox Game Pass for $14.99 a month. During the Inside Xbox stream today, Microsoft unveiled the new Xbox Game Pass Ultimate subscription which combines the benefits of Xbox Live Gold and Xbox Game Pass for a set price of $14.99 a month. While there’s currently no set release date for Xbox Game Pass Ultimate, Microsoft has outlined several benefits that are sure to pique the interest of Xbox users. Microsoft unveiled plans to combine Xbox Live Gold and Xbox Game Pass in one service, Xbox Game Pass Ultimate. 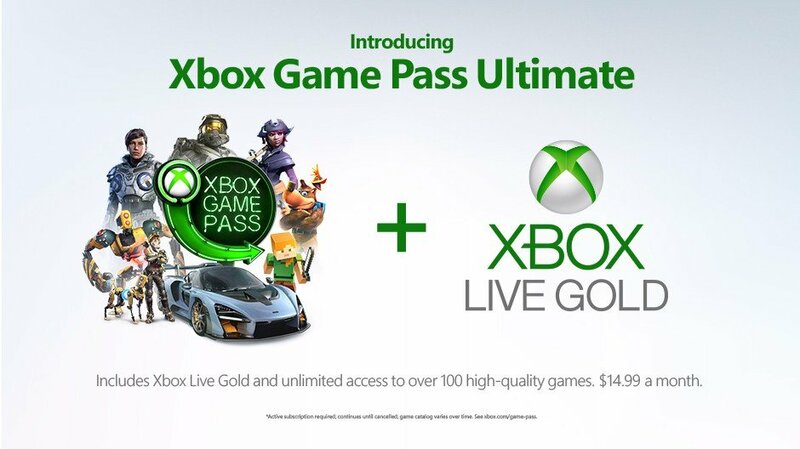 Addressing the question of whether or not Xbox Live Gold and Xbox Game Pass members can take advantage of the benefits of other services, Microsoft dropped news regarding their upcoming subscription option, Xbox Game Pass Ultimate. With Xbox Game Pass Ultimate, both services have been combined in one convenient package priced at $14.99 per month. Not only can you take advantage of multiplayer services offered by Xbox Live Gold and free Games With Gold titles, but also take advantage of the wealth of titles available as part of the Xbox Game Pass library. For those that have one or both, Microsoft hinted at how there will be ways to easily join Xbox Game Pass Ultimate. According to Microsoft, current Xbox Live Gold and Xbox Game Pass members can convert over to Xbox Game Pass Ultimate, and apply what they pre-paid over to Xbox Game Pass Ultimate if they so choose. Xbox Game Pass Ultimate is scheduled to launch later this year, though select users can reportedly apply to test out the Xbox Game Pass Ultimate service and submit feedback to Microsoft. Stay tuned, as we’ll be posting additional information regarding Xbox Game Pass Ultimate as it’s released.